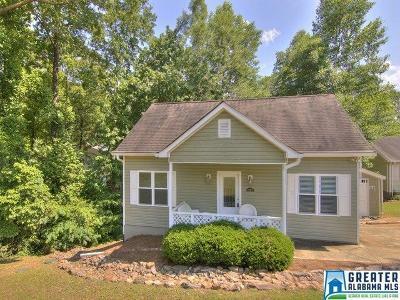 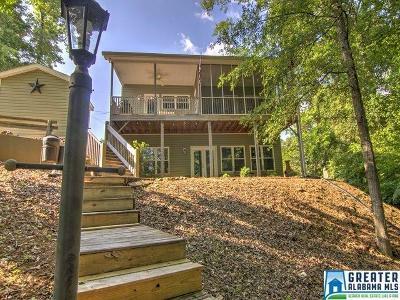 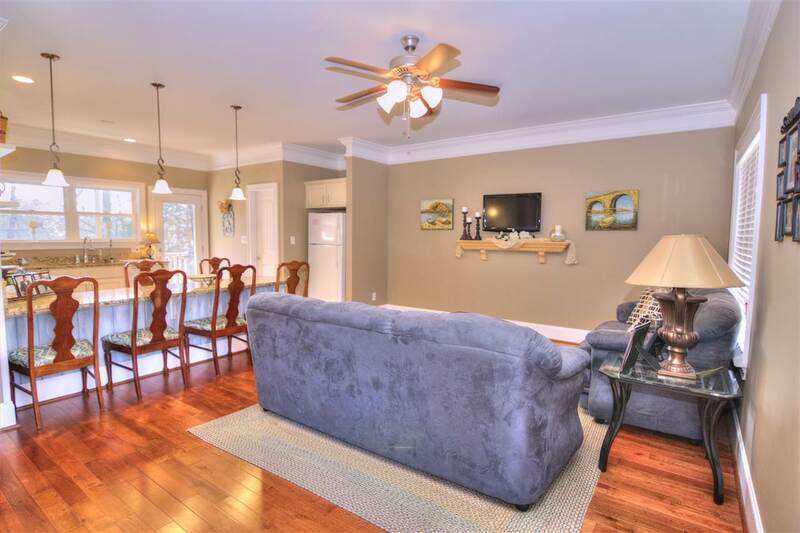 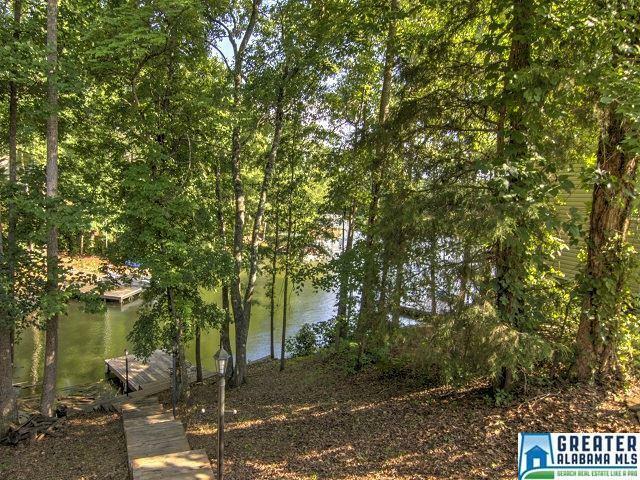 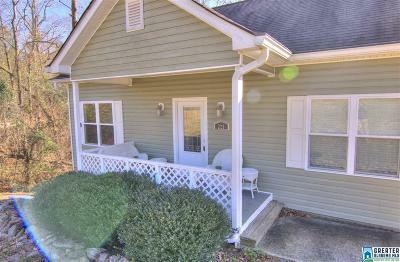 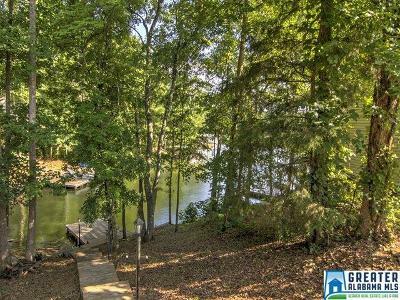 Charming Lake Home, Pineywoods Subdivision, Lake Wedowee 2 Bedroom/2 Bath Home being sold completely furnished, has welcoming feel as you enter. 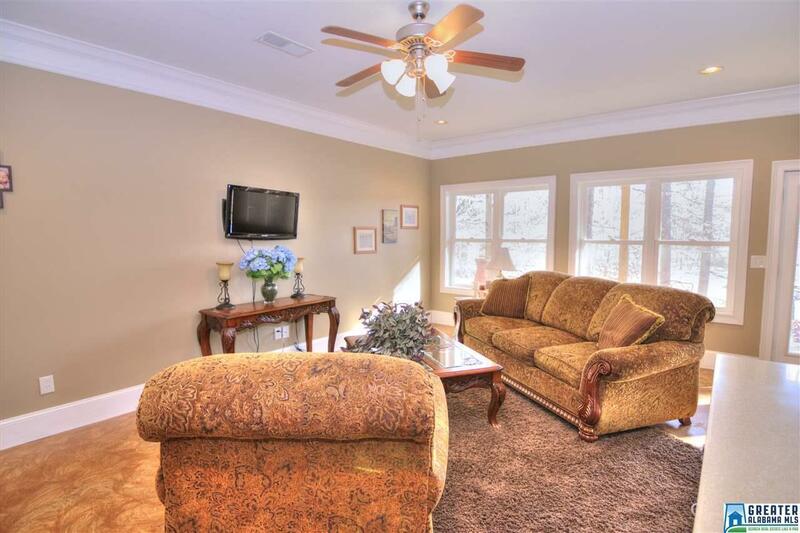 With the open concept floor plan, entire space is efficiently utilized. 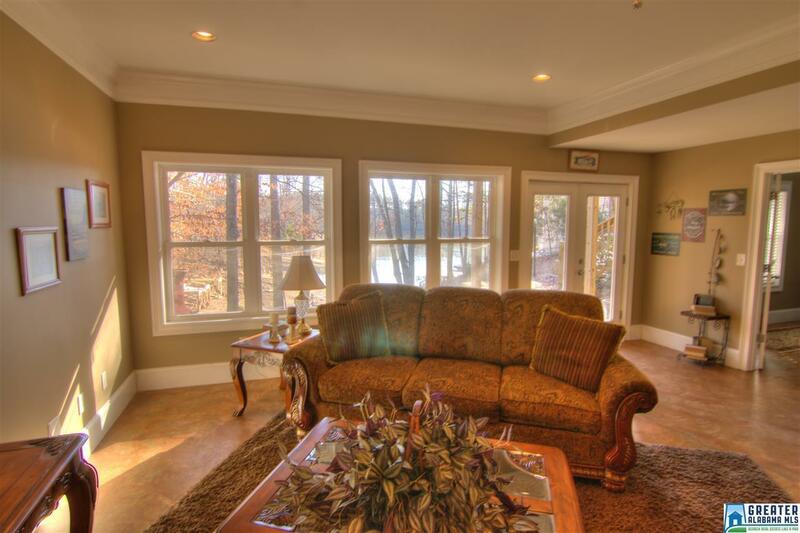 Plenty of windows bring the lake to you! 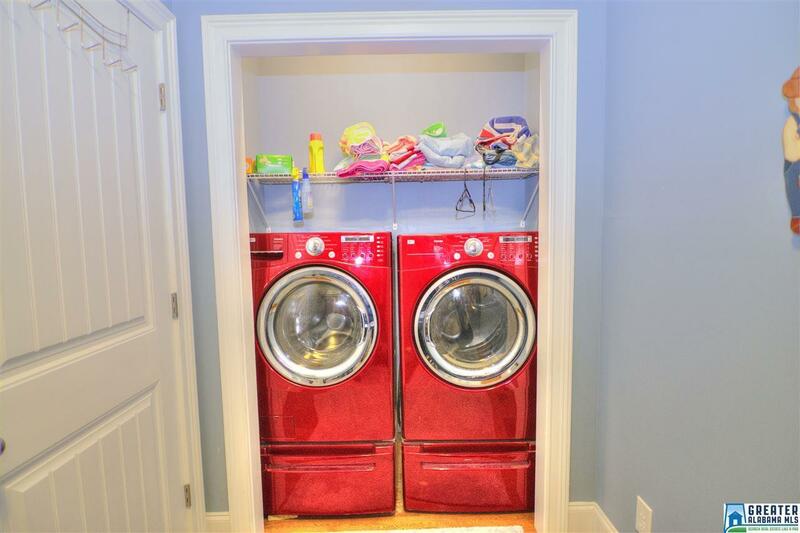 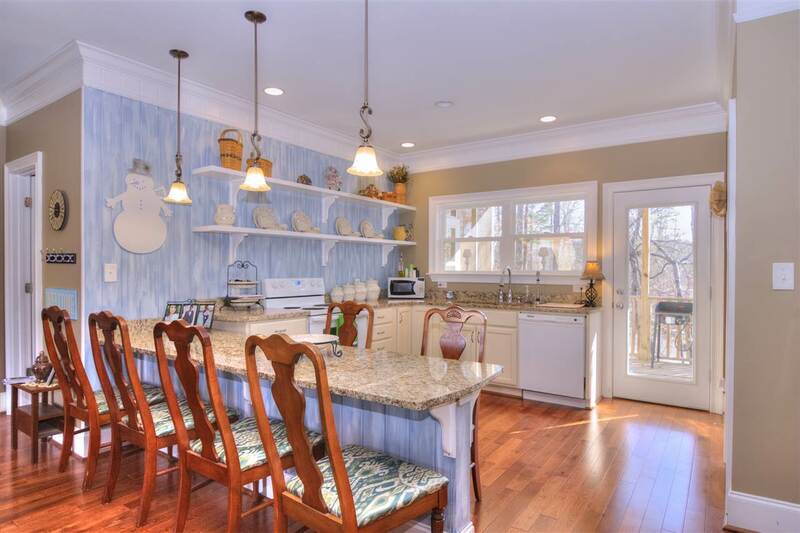 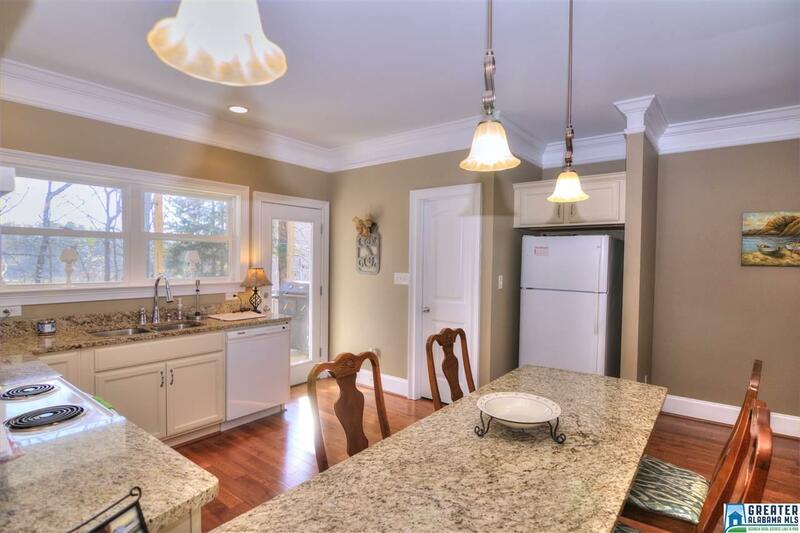 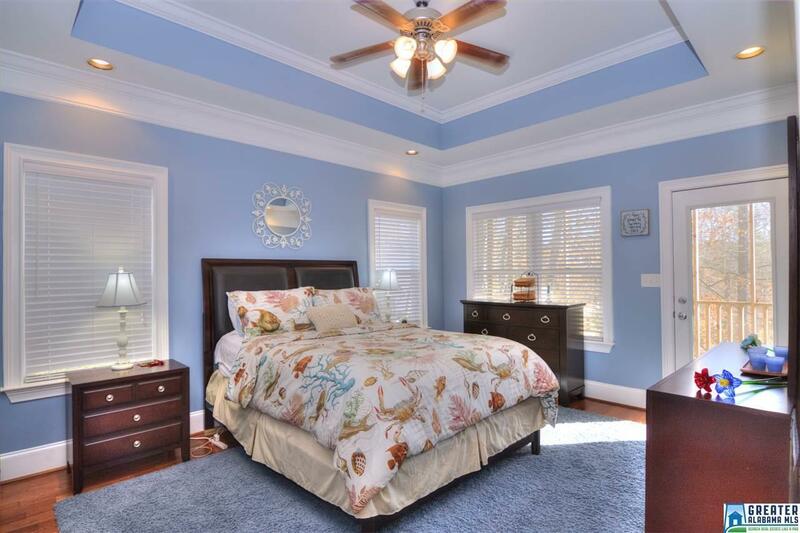 Custom moldings, granite countertops & hardwood floors reflect construction quality. 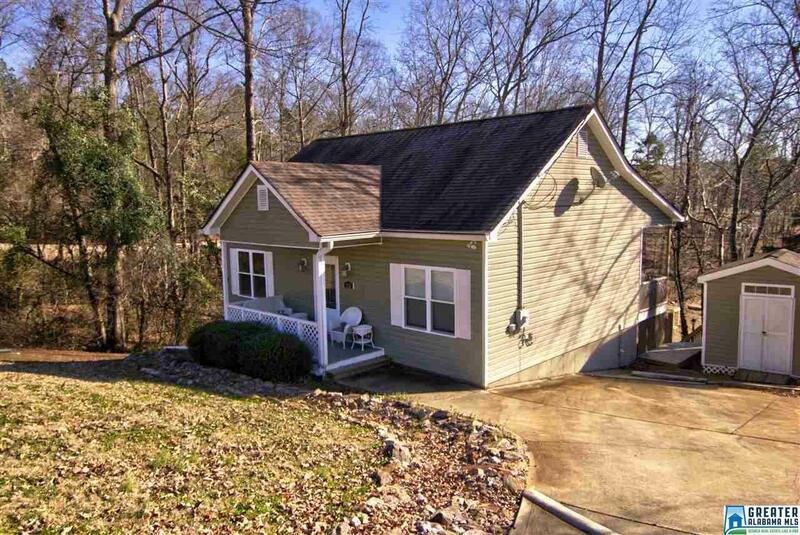 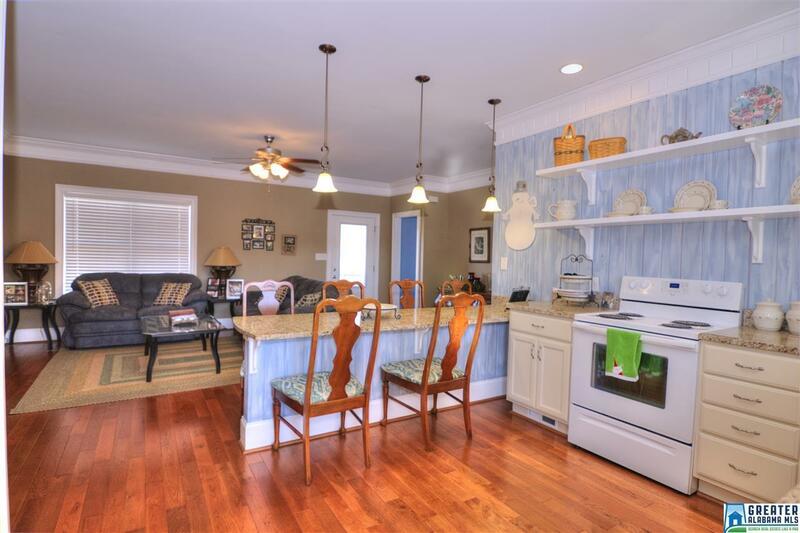 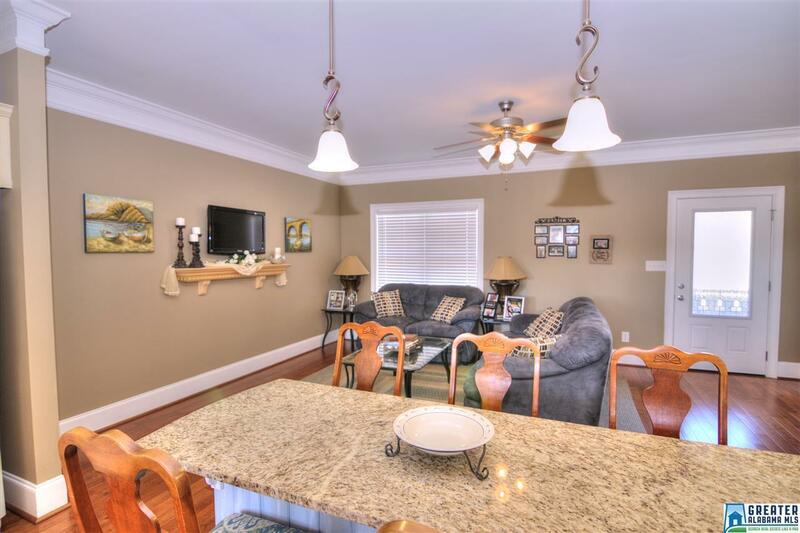 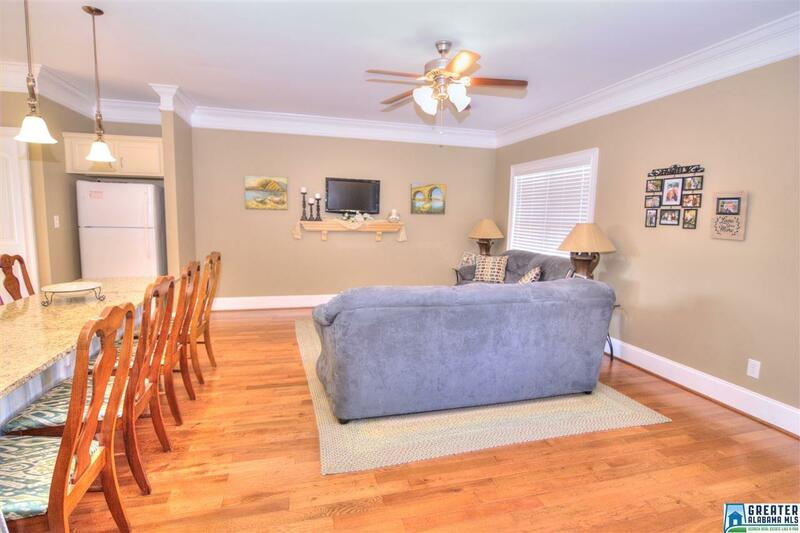 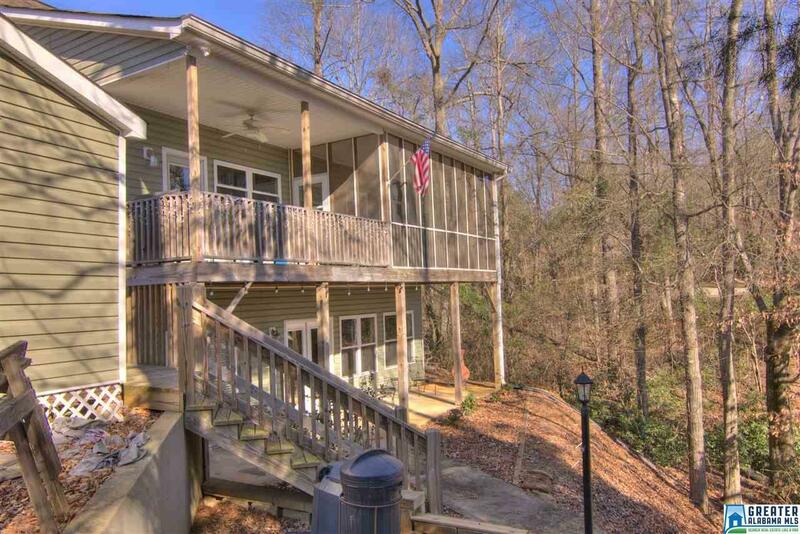 Property is low maintenance, convenient to town/marina, & in subdivision with paved streets. 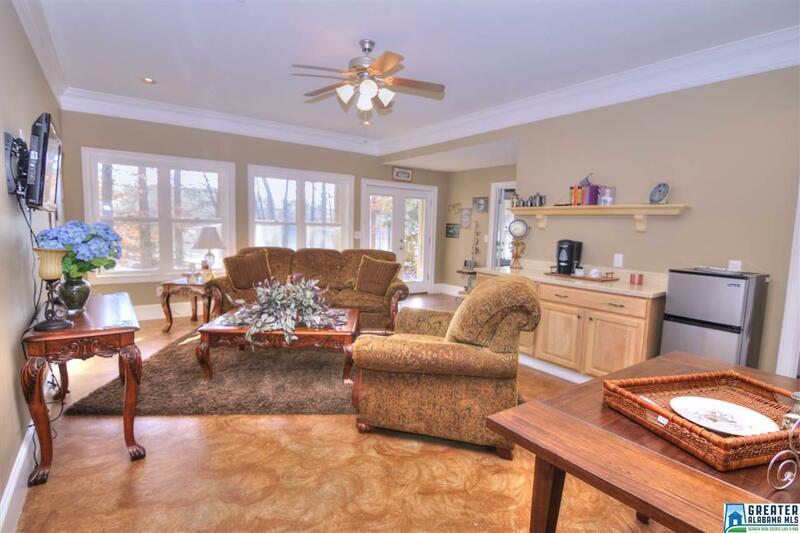 Main level has family room open to kitchen. 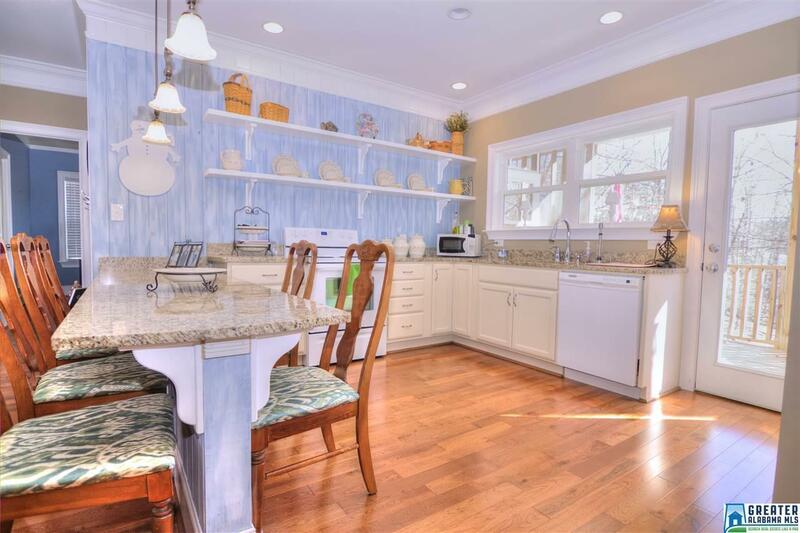 Kitchen has decorative open display shelves, granite countertops, ample bar space for your guests & spacious walk-in pantry. 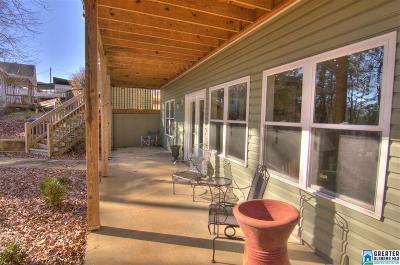 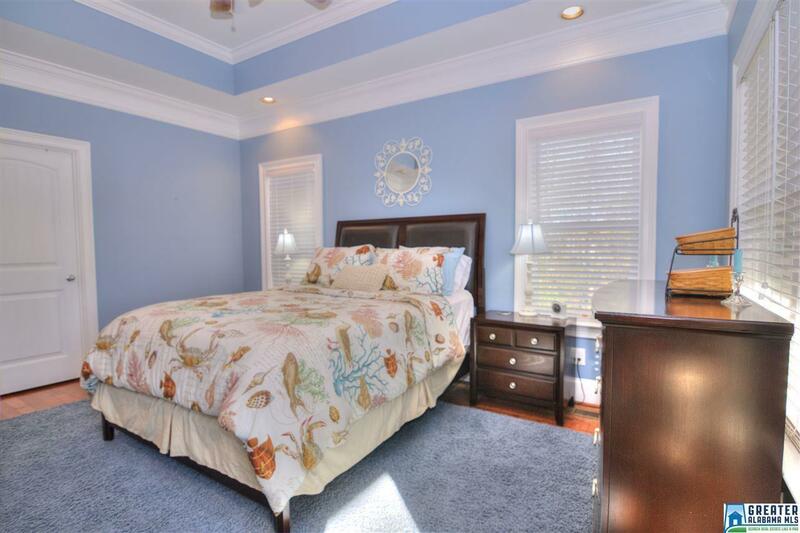 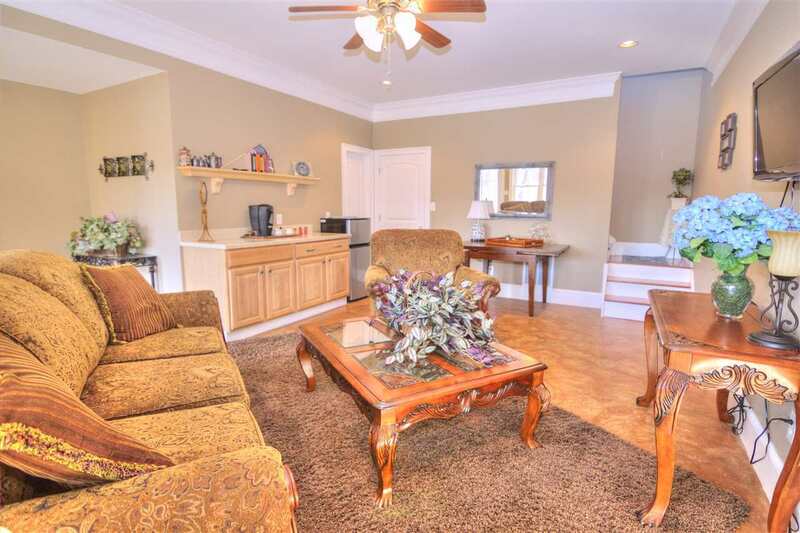 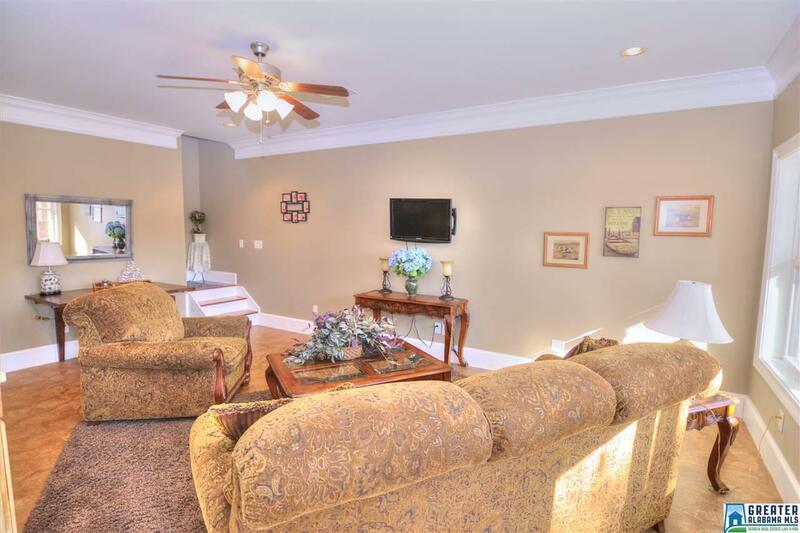 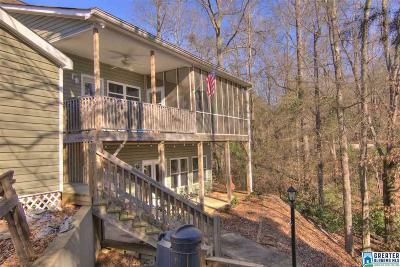 From master bedroom, walk onto a screened porch & take in the lake scenery with your morning coffee. 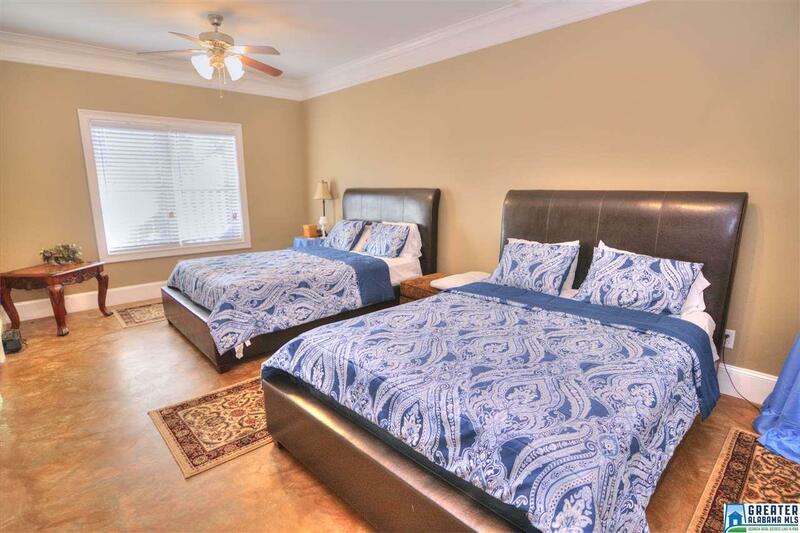 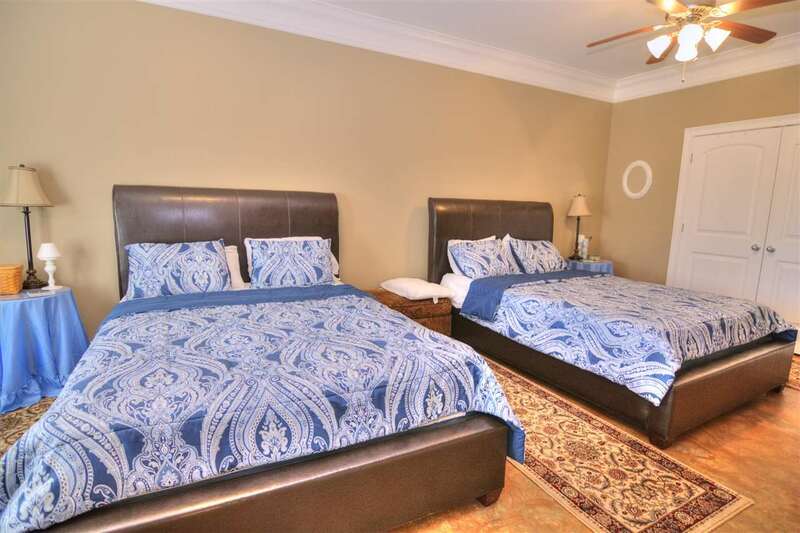 Downstairs is another family room, an oversized bedroom housing 2 queen beds, full bath & mini frig/coffee bar. 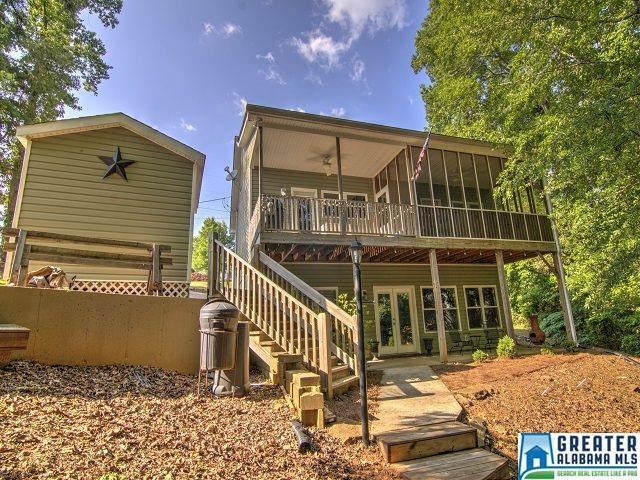 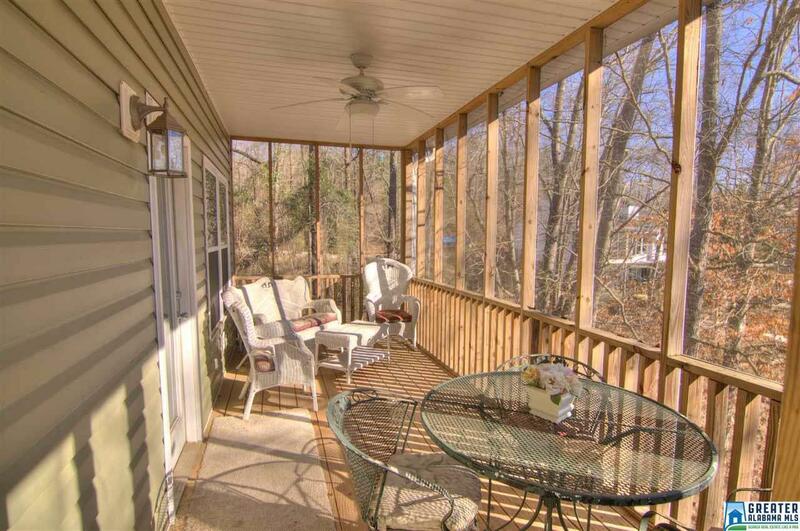 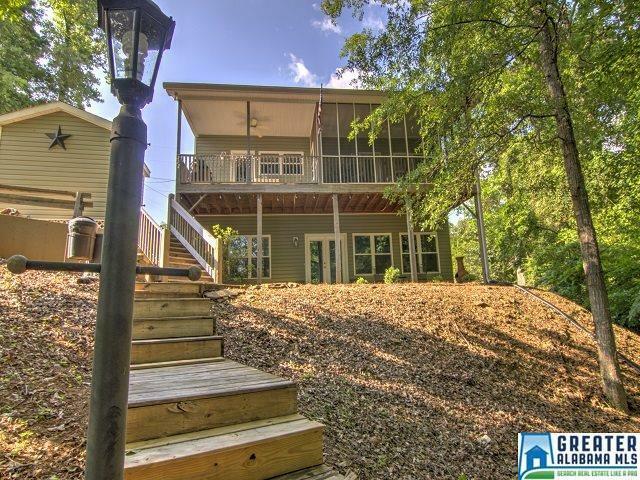 Enjoy your grilling deck & screened porch on upper level & covered patio underneath. 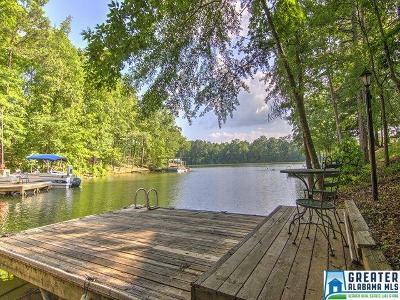 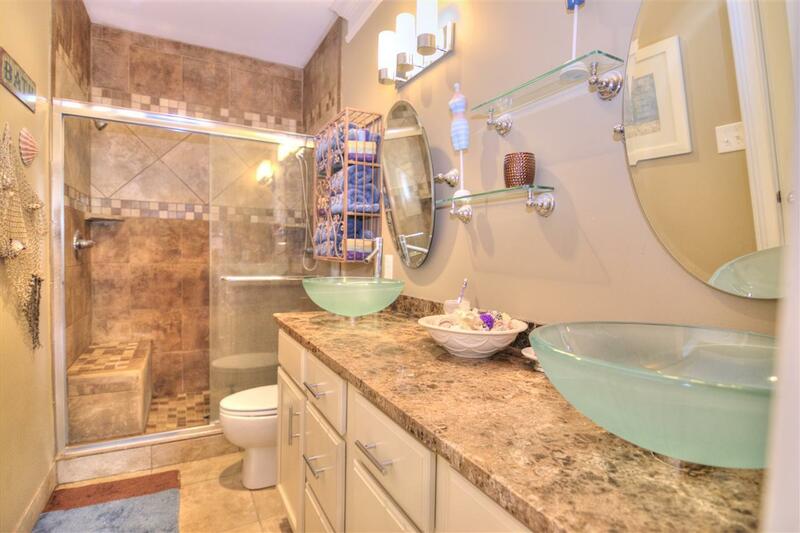 Gentle walk to the water, 100± ft of shoreline, stationary dock, block seawall.